I’ve known Sofi for a bit. She was one of the girls on the collage in the EXPOSURE Skate 2016 calendar. Her bio picture is in the collage upper right corner. 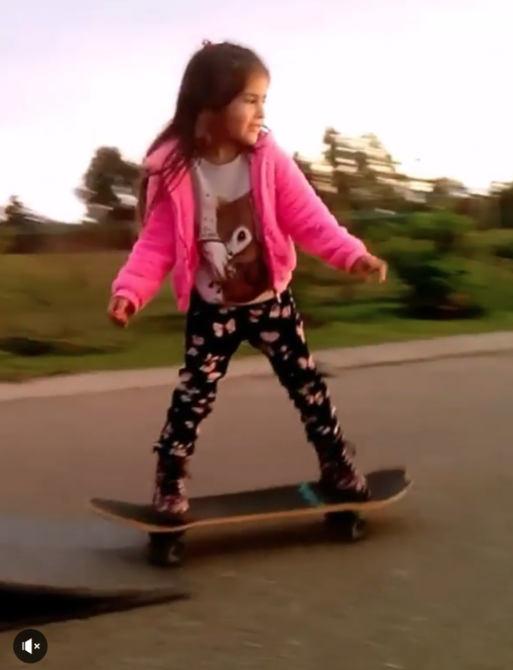 Below she shares this video with the caption – Love to inspire and teach my cousins of 4, 6 and 12 years old how to skate! They have progressed so much! So proud of them! Happy she shared this especially because it gave me a chance to remind her EXPOSURE Skate is having an international contest. Sofi is now working on her entry. Good Luck Sofi! 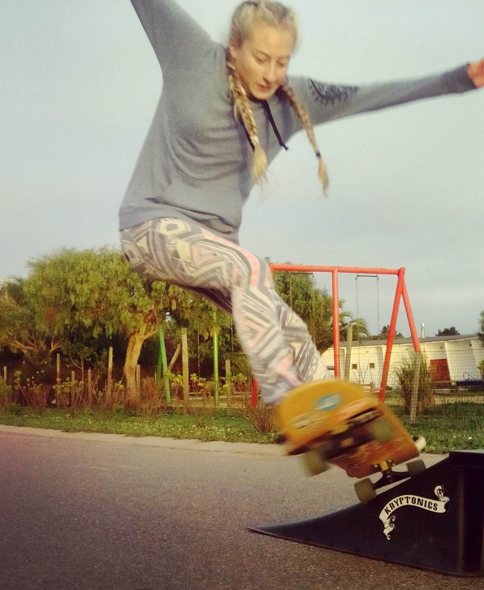 Keep sharing the love of skateboarding & I love the leggings!